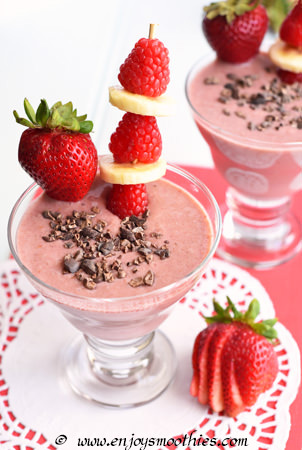 What do you get when you combine the two most popular berries together in a smoothie? A berrylicious strawberry raspberry smoothie. Not only are berries totally delectable, but nutritionally they are in a class of their own. The antioxidant and anti-inflammatory benefits of raspberries are quite extraordinary, mainly because of the range of phytonutrients present in these little red berries. Not only do they contain a diverse range of nutrients, but they are present in significant enough amounts to protect us against the dangers of oxidative stress an excessive inflammation. While strawberries, the world’s most popular berry, also contain a wide array of phytochemicals, such as anthocyanins and flavonols. Besides their anti-cancer properties, strawberries also contain disease fighting and anti-aging compounds. 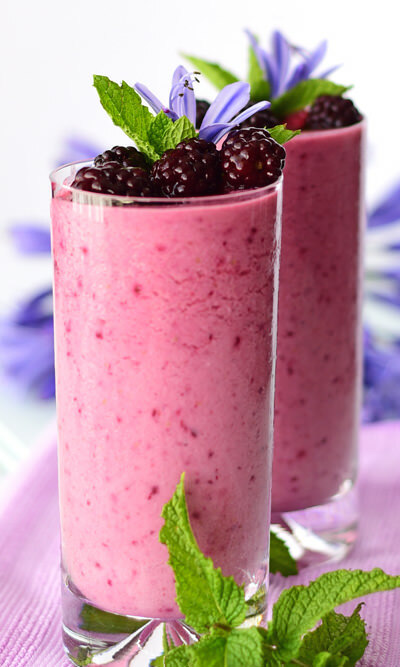 Combining these two berries together creates a smoothie that recharges, detoxes and boosts energy. 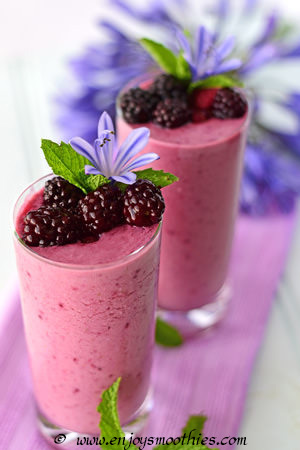 Combine the frozen blackberries, raspberries, strawberries, vanilla yogurt, almond milk and ground cinnamon in a high powered blender and puree until smooth. Blend together the banana, raspberries, strawberries, vanilla yogurt, almond milk, cacao and dates until everything is smooth and creamy. Combine the baby spinach leaves, coconut water, coconut milk, frozen raspberries, strawberries, Medjool dates, lime juice and turmeric in a high-powered blender and blend until smooth and creamy. Whizz together the frozen blueberries, raspberries, strawberries, spinach leaves, almond milk, almond cutter, cinnamon and honey. Pour into two glasses and enjoy.